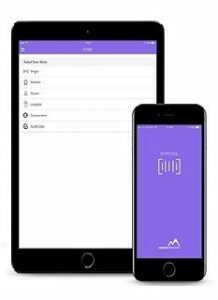 Indigo Mountain are proud to announce that v3.1 of our BarKode Scanning App is now released and available in the Appstore and Playstore. Whilst Quest has added their own Barcode scanning functionality to the Go App, we are still finding that customers are choosing to purchase BarKode. This is quite simply because of our far superior range of scanning functionality that makes Asset related processes far more efficient but also because BarKode helps aligns your organisation with ITIL and ISO55001 Asset Management Best Practice standards. Engaging with Indigo Mountain and BarKode is not just about the app, it’s also about getting the most out of your KACE appliances and getting access to our KACE experience and expertise. Our aim has always been to continue creating great additional functionality in our tools, enhancing the KACE experience for customers, so here is a complete review of all the functionality available in our latest release of BarKode, so you can see how much value it can add to your KACE environment. First it is worth pointing out that the BarKode app uses our own technique of managing Asset TAG’s as asset types within the KACE appliance. This means that you are unable to duplicate Asset TAG numbers, each one is unique and when assigned to an Asset you know that is the “single source of truth” from an Asset Management perspective. With the Quest Go app methodology, you can apply any number of different Barcode values to Device Assets, and even duplicate that number, meaning that you can use the same value for multiple Devices by mistake, all of which could add up to chaos and inaccuracy, exactly the reverse of your Asset Management objectives. Scan any single asset Barcode, if the asset tag exists in KACE the asset data is displayed ready for review and updating. If the asset tag does not exist the app asks you to choose the type of asset that it is so that data can be entered and creates the asset record within your KACE appliance. In Multiple scan mode, you can scan multiples of a single asset type, setting the data values across each asset. Great for scanning in new equipment, all to the same location and with the same status value. Proven to make data entry of a shipment into KACE up to 20 times quicker than scanning individually with the Go app. With an owner scan you are able to assign any number of different Asset types to an owner in a single scan. Great for assigning ownership of multiple items to a new starter, or for introducing ownership scanning to make your leavers process more robust. With a location scan, you first select the location value that you are physically scanning and then you scan any asset type in that location using a single scan. That assigns the location value to every asset scanned. This functionality is used by a lot of our customers in the Education sector to scan and audit classroom locations, made even easier by the introduction of the Secondary-scan functionality. If you have your rooms or locations barcoded, simply scan the location barcode in and then scan all assets in that location to perform the asset update. o Any data displayed in a compatible Barcode format!! Secondary scanning speeds up data entry and increase the accuracy of the data entered, don’t put up with inaccurate manually entered data, just scan it and know it is correct. 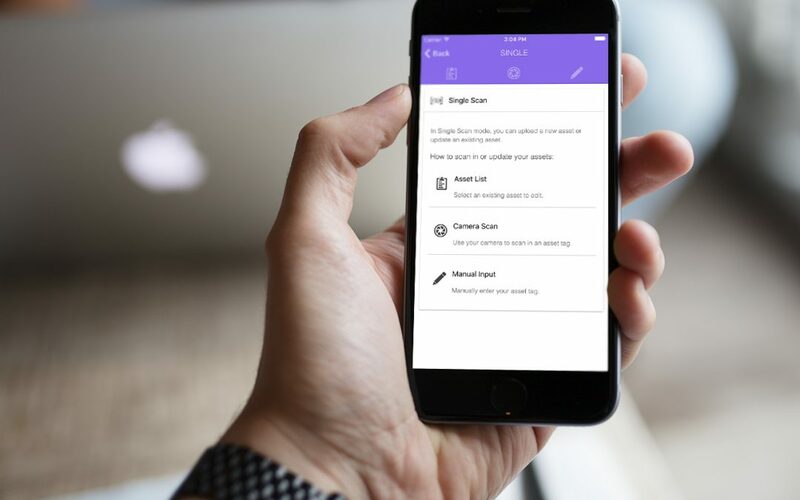 Unlike the Quest Go App, which limits you to scanning only Device Asset types, BarKode allows you to create and manage any type of Asset. Adding and updating data with reference to any applied barcode value, means you are not forced to purchase additional KACE Asset License packs for your SMA. So as your Asset management scope increases, you are able to manage an unlimited number of assets without an increased cost. The use of mandatory fields within an Asset, means that within KACE, the tech has to enter data values in defined key fields before the asset record can be saved. That functionality now crosses over into the BarKode UI, with pop up errors to provide additional information whenever the required fields are not populated. In 7.0 Someone thought it would be good if location asset data for a Device asset type was duplicated into a field in the summary section of the inventory, to be honest, that just confused the hell out of everyone, certainly those that had been using the Location Asset type to do the same thing for years! BarKode will now copy that Asset Location data into the Inventory Location field when the data is selected for a Device Asset type. We are not sure it will stop the confusion…but who are we to stand in the way of “progress”. Customers who have more challenging barcode scanning requirements, such as low light or scanning in awkward places, have been using the additional option of LineaPro laser scanning attachments for their Apple smart devices. This latest BarKode release now allows any Secondary scanning to work using the LineaPro, making it easier to capture serial numbers, mac addresses, room codes etc. In addition to all the above features and functionality, we have been working hard to introduce additional capabilities, so we can share the BarKode love further afield. 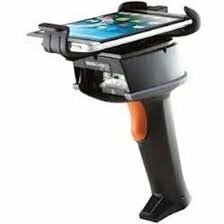 Until now laser scanning capability has been limited to the LineaPro device range for IOS devices. With the new BarKode release we have introduced Bluetooth connectivity that allows for Bluetooth laser scanners to be attached to your Android or IOS device. We have produced this integration specifically for use with the SaveoScan device, a gun style device that mounts your phone or tablet on the top. Not only does it speed up scanning barcodes but you get to feel like a StarTrek extra at the same time. For more information about the SaveoScan device just get in contact. Using the standard Asset configurations within your KACE appliance, you can create a range of Consumable Asset types, add in data such as costs and the URL required to purchase, then using the BarKode UI scan the Retail barcode value to identify the consumable. You are then set to scan in and out individual consumable assets, for example Ink, Toner, Paper, Stationary, Water, Catering Items etc etc. You are also able to manage stock levels by setting minimum levels for each consumable asset type, getting alerts from the app when minimum levels are reached. You can even offer KACE as a solution to other areas of your business that have similar consumable or stock control challenges. Just imagine being able to understand how much you are spending on consumables simply from a report within your KACE appliance. Being able to scan all the Assets in a location is great for basic data entry, but part of the strength of any Asset management process should be the ability to carry out Audits on an ongoing basis. Audits test the integrity of your Asset Management data and more importantly can be used as a measure to prove that your staff are following your defined processes. With this new release of BarKode we are introducing new interactive audit capability. Select the function on your BarKode UI, select to audit by a User i.e. Starters and Leavers or by Location. Then select the Status of all assets that you find and select the Status value of assets that you are unable to find. Start your Audit and get feedback on the screen as to the Assets that are found, those still to find and any new assets discovered for that user or location. Imagine being able to Audit your stores location for spare equipment, being able to ensure you get back all the company equipment assigned to a leaver, being able to scan that meeting room to make sure all the kit you spent time getting ready has not “walked”, or even set up projects and scan kit out to the project and back in when the project is over. We are offering substantial discounts to the first 10 customers to purchase BarKode v3.1 as well as still offering discounts for Education, Charity and Not for Profit customers.